This one is really fun! 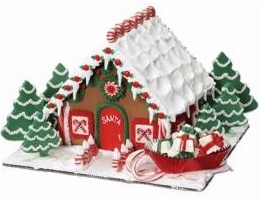 Santa’s Gingerbread house looks so sweet and inviting. 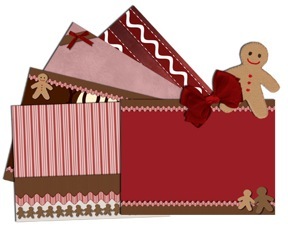 Gingerbread evergreen trees surround the property and a big sled over-filling with presents sits right out front. Santa Claus’s house is studded with candy chocolates in red and green Christmas holiday colors and there is a welcoming wreath out front and candy cane windows, and icing icicles and a very sweet front walk way. This one is going to be fun to make! Visit here for the instructions. 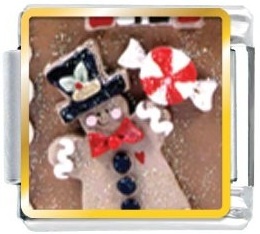 This is an amazing Gingerbread cookie in the image of Hello Kitty. The cute world-famous image of a friendly cat with its big white head, small eyes, and smaller body and bow in her hair by the Sanrio company from Japan is now a Gingerbread cookie. 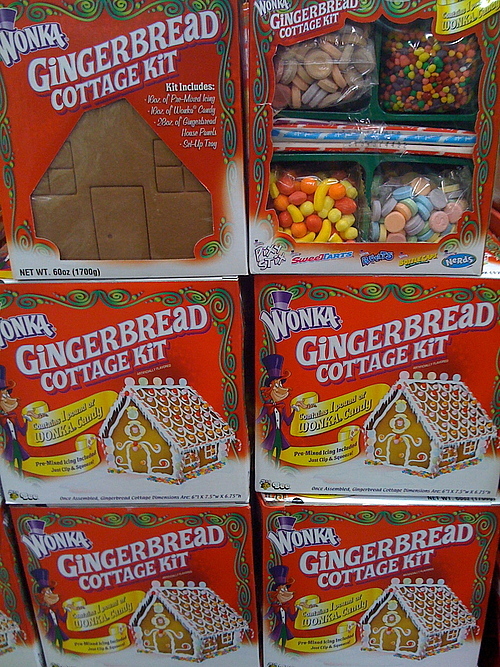 Seeing images like this one really opens our eyes and minds to thinking outside-the-box and realizing that Gingerbread can be anything we imagine. Lets have some fun this holiday season and create our own master pieces as we are only limited by ourselves, we can be creative and make whatever we dream up! 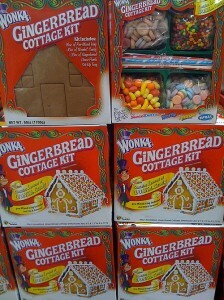 Imagine displaying your very own Hello Kitty Gingerbread creations at your christmas holiday cookie exchange. Yum yum! This is the one that is so hard to keep in stock and sells out every time! 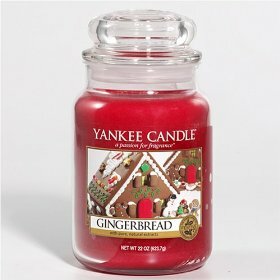 A spicy warm gingerbread rich with nutmeg, cinnamon and brown sugar candle. Experience the authentic, true-to-life fragrance, with pure natural spice extracts, and renowned Yankee Candle® quality that have made us America’s favorite. The traditional design of this signature jar candles reflects a warm, relaxed sense of style that’s always at home. Convenient and easy to use, these long-burning jars provide hours of true fragrance enjoyment. They’re also the ideal gift for any occasion. HARD TO KEEP IN STOCK SO Get Yours NOW!